Tony De Santis, Stefano DiMatteo, Christian Lloyd et al. Every time a plane crashes, the world takes notice. And so do the experts whose job it is to figure out what happened. Air Crash Investigation: Season 14 uncovers the truth behind the most legendary aviation disasters and every episode features eyewitness accounts, captivating re-enactments, state-of-the-art CGI and interviews with the air crash investigators who ultimately determined what went wrong. 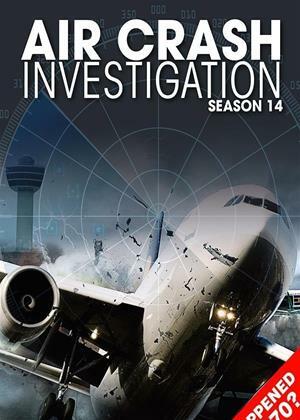 Season 14 of Air Crash Investigation includes: one of the greatest aviation mysteries of all time--the disappearance of Malaysia Airlines Flight 370; America mourns when John F. Kennedy Jr disappears, along with his private plane en route to Martha's Vineyard; investigators face a baffling mystery when an airliner disappears over a remote Brazilian jungle; and, 100 people are on board the legendary supersonic Concorde when it crashes during take-off at a Paris airport.